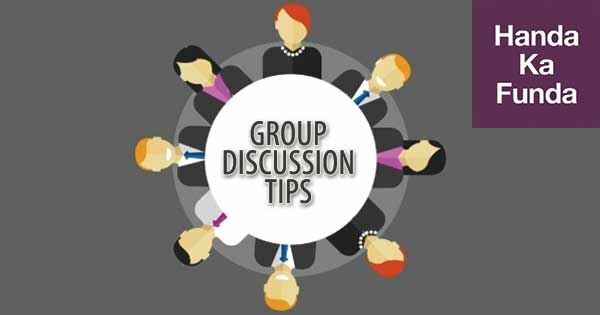 Perhaps the most common group discussion types, topical group discussions are an integral part of the evaluation processes many of the top B-schools. Topical group discussions are called so because they have a clearly-defined topic framework within which the group discussion takes place. Topical group discussions are broadly of two types: opinion-oriented, and descriptive. For example, a discussion titled as “Should B-schools do away with their entrance examinations?” is the former type, whereas, “India in 2030” is the latter. Within these two categories, you may find two sub-categories: current affairs-based topics, and static topics which relevant both within and beyond the current time frame. In my experience, current-affairs based topics feature most commonly among topical group discussions. This is so because such discussions allow the panel to observe simultaneously your level of general awareness and your ability to process information. Many participants in typical group discussions believe that they are expected to stick to a viewpoint, defend it forcefully throughout the group discussion, and ‘win’ the discussion by knocking out other participants with brilliant arguments (seldom the case) or else, with loud, rhetorical attacks amplified by aggressive body language (usually the case). While unrestrained aggression is detrimental to all types of communication, a debate involves a vigorous presentation of opposing arguments, the goal of which is to win the vote that usually follows the debate. Such a process presupposes adherence to the viewpoints or opinions which are arrived at through extensive preparation, and which (usually) do not change during the course of the debate. On the contrary, a group discussion features an impromptu topic, which may not be entirely familiar to all the participants. It is often the case that not a single participant is fully prepared to talk on the matter; usually, several people in the discussion have a few bit and pieces of information that they must pool together in order to get a better and ideally complete understanding of the topic. If such an understanding is achieved, it may be possible to discuss a course of action on the given matter towards the concluding stages of the discussion. If this stage is reached, the group may end with a consensus, or the group may still be divided in their suggestions. Due to their lack of knowledge of the above distinction, many participants try to superimpose the principles of the former on to the structure of the latter. As a result, most group discussions are superficial at best, and fractious at worst. In a group discussion, the participants are allowed (in fact, expected) to start off with their own limited information, learn from their fellow participants, contribute to a deeper, collective understanding of the topic, and formulate a viewpoint as they go along. The preparation time of up to 5 minutes that you get prior to the start of a group discussion is immensely important. Irrespective of whether the topic is opinion-oriented or descriptive, the first step of your response remains the same: defining the keywords of the topic. To understand this better, let us take a sample descriptive topic: “Climate change: the gravest challenge of the 21st century”. Observe how the mind tends to twist a thought to be analysed into an argument to be defended. There are several reasons why this happens: first, a lack of information to comprehensively define the given topic, second, a resultant desperation to divert the topic to another topic one can talk on (such as, “Not climate change, but ISIS is the greatest challenge because…”), and third, a desire for conflict and confrontation in order to establish one’s superiority in the group. An alternative, rational approach is to steer clear of such deviations, and see the topic for what it really is. There is little doubt that climate change is a serious problem, and the discussion as to whether or not it is the most serious problem is irrelevant as there is plenty of evidence to suggest that an immediate action is required on part of both the individual and the collective. The panel therefore expects you to show an in-depth understanding of the problem, and suggest a possible way forward. What can we do in the light of this expectation? First, in the prep time, identify the keywords (given below in bold) of the topic and define them to your satisfaction. “Climate change: the gravest challenge of the 21st century”. Climate change – what it means to me? 21st Century – what are and will be the pressing concerns of the world in the 21st century? What have been the effects of these causes so far? What further effect will be seen in the future? In what ways do these effects influence the pressing concerns defined above? Are these influences detrimental to the well-being of humanity? If yes, how? Are any of the effects reversible? Can we ‘manage’ the effects that are irreversible? If yes, how? You can now see that we are trying to give the discussion an analytical design, eliminate pointless arguments, and have a prescriptive approach which will give the panel an indication of how we understand a problem and also, how we solve it. What are the macroeconomic effects of this move? What are the microeconomic effects? What objectives were stated at the commencement of this demonetisation? Have the objectives been fulfilled? If yes, why and how? If not, are they likely to be fulfilled in the foreseeable future? If yes, why and how? If not, why? What are the spill-over consequences? Is the cost of this move worth the benefits? If yes, why and how? If not, why? Only after such analysis will a clear position of an individual participant or the group emerge. Therefore, any for-against position must be a result of this analysis, as the panel wishes to see evidence of sound critical thinking – the ability to take an all-round, objective view of the situation. Instead, many participants first assume a position, which invariably results from their biases and prejudices, and then make feeble efforts to support it – often through rhetorical remarks and repetitions. Therefore, I feel that a position, if any, must emerge only in the concluding stages of the discussion. It is possible that either the individual or the group may choose to end without a clear position. There is no problem with that as long as they have managed to convince the panel that despite careful analysis, a clear position is impossible for the want of necessary information or an objective basis to evaluate the merits and the demerits of a course of action. However, if the panel comes to the conclusion that no position or clearer understanding was reached due to abject lack of awareness, or inadequate analysis, you fail to score on most of the important parameters. I hope this article has given you a clear idea on how to approach a topical group discussion. In the next article, we shall look at case studies in detail. A good way give yourself a sound factual basis in a group discussion is to prepare a ‘timeline’ of happenings on such topics, and complement it by reading the analytical articles – in newspapers and magazines – that have followed the important happenings on those timelines.